Here at Joe Horrox Law, we always put the people of Daytona Beach first. When someone is injured because of another person's negligence, we will stand with them. This is especially important when that person was harmed while visiting a business establishment of any kind. When a slip or fall accident occurs at a property, a premises liability lawsuit may be filed to collect damages for injuries and other losses. 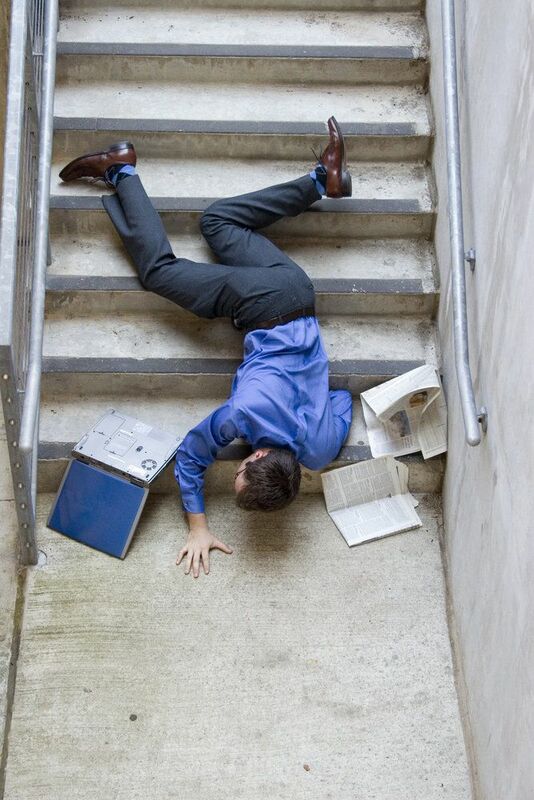 Among the many causes of serious slips and falls, broken or dangerous stairwells and stairways are a leading danger. Let's take a moment to discuss why that is. Whether it's a hotel, an office building, a parking garage, or a hospital, broken stairs can be a major hazard. When stairways and stairwells are in disrepair, are poorly maintained, or are not properly cleaned, this could cause major slip and fall accidents as well as serious injuries. That applies to guests and visitors at the property as well as workers and employees. That's why property owners need to ensure safe conditions at all times. Sometimes the issue with stairways are the steps themselves. Loose planks of wood or weakened planks of wood can give way, leading people to stumble over or fall back. Even sturdy materials like concrete or tile may have issues, such as cracks and breaks that make slips more likely. Similarly, one must take into account the placement and distribution of steps. Irregular stairs and steps can make falls more likely, especially if the unevenly placed steps cause people to continually vary their stride. Stairwells and stairways ought to have proper rails and bannisters in place for people to hold onto as they ascend and descend the stairs. A lack of bannisters or poorly position bannisters ought to be taken seriously. Outside of the stairs themselves, there are issues with lighting that are important to consider. A poorly lit stairway or stairwell can be as dangerous as a broken stairway or stairwell. It's important that people are aware of the position of the steps as they move about them, and good lighting is one of the best ways to keep everyone safe. In other cases, the danger of stairways and stairwells involve wet or slippery surfaces. When there's liquid on steps, people can lose their footing and fall over, causing serious harm. Whenever a stairwell or stairway is exposed to the elements, proper building materials should be considered to improve traction and safety. If there are leaks in walls, ceilings, or pipes that affect stairs, these should be addressed sooner rather than later. It's common sense but it's worth restating: property owners need to exercise responsibility and keep people on their property safe. That means blocking access to stairways and stairwells if they know there is a problem, and making sure that all parts of their property need to be properly maintained, especially if customers or the public can access these parts of the property. When an injury occurs because of a property owner's negligence, you can rely on our team for help. To learn more about your legal rights after a serious injury at a property, it's important that you contact our personal injury law firm today. The team at Joe Horrox Law will fight for you every step of the way.